the name of Goa to greater heights through their talent and toil, Goa shares in their pride. One such son is Gopinath Chandelkar, who studied mechanical engineering, found his profession in spices and then became the founder and director of Revas Production and Foundation Groups; and whose goal is to spread smiles among children and experience the joy from within. Gopinath has made four short films and one documentary film. 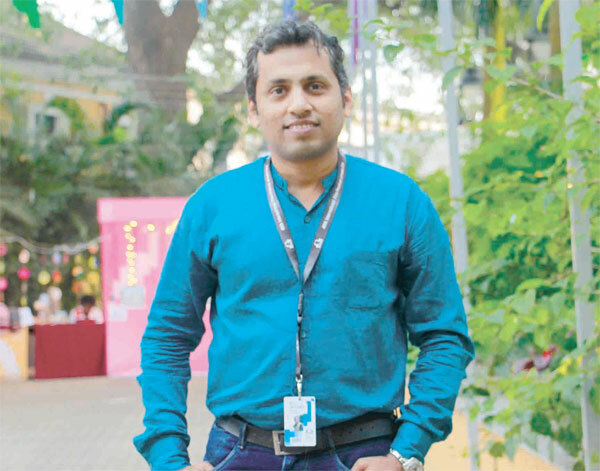 ‘Seetee’, his fifth short film, was the only Goan short film screened at the 49th International Film Festival of India under the Goan section cateogry; and one of the two Goan films screened at IFFI. As told by the director, the 15-minute film relates entirely to the common man and the things we deal with in our everyday lives. ‘Swachh Bharat’ is the subject around which the whole movie revolves, but Gopinath has taken this in an innovative manner with a slight twist to give a message deeper than what the topic actually portrays. The film also portrays a relationship and the bond between a father and a son. The professional life affecting their personal bond is also given focus in this short film. Gopinath, as a filmmaker, believes in trusting his gut feeling, pondering over it and then if it excites him, working on writing the script. “It took me 3-4 months to shoot this film. We started from June and continued till the end of September,” Gopinath stated. No film is complete without facing challenges. Gopinath too faced issues with the continuous climate changes taking place in Goa,as well as concerning some characters as the story was based on real life and there was a need for shots of real situations. Patience is a major factor mastered only by a few, and to get the perfect shots, Gopinath is of the opinion that you have to wait for the right moment patiently to get that perfection in your film.